An excited group of local residents, the Willkommen Committee of the New Ulm Area Chamber of Commerce, and Mayor Bob Beussman were on hand to celebrate the ribbon cutting of the Shoe Sensation store located at 1704 Westridge Road. Shoe Sensation is a regional chain of family shoe stores selling quality name brand shoes. They carry a large selection of men’s, women’s, children’s casual, dress, athletic, work, and sport footwear. They have 172 store locations and plans to open 9 more this year. CEO Dave Schoengart, who came to New Ulm for the ribbon cutting and grand opening, said they look for towns that have small town feel and a lot of community support to put their stores in. He and the staff at New Ulm’s Shoe Sensation said they are impressed with how welcoming the community has been and all the help they have gotten from the Chamber in getting ready to open. Congratulations, Shoe Sensation! We’re glad you’re here! Check out their Grand Opening October 26-29! New doorbusters daily and register to win free shoes for your entire family! Pick up a 20% off coupon at the Chamber Office before you go. Happy shopping! 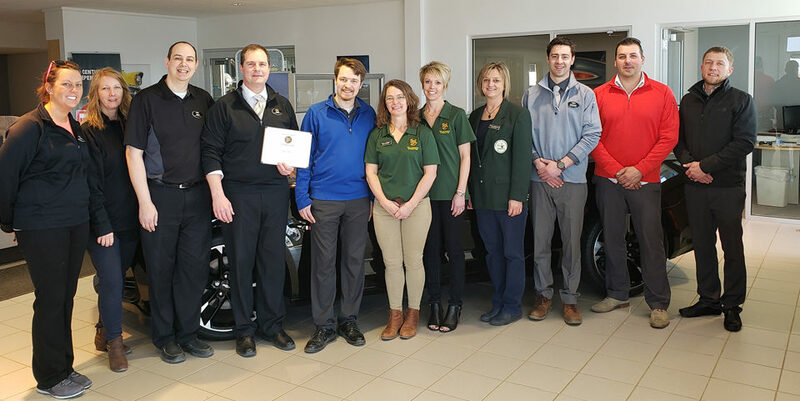 Besides celebrating the grand opening, the Willkommen Committee also welcomed Shoe Sensation as a new member of the New Ulm Area Chamber of Commerce. Thank you for your investment! 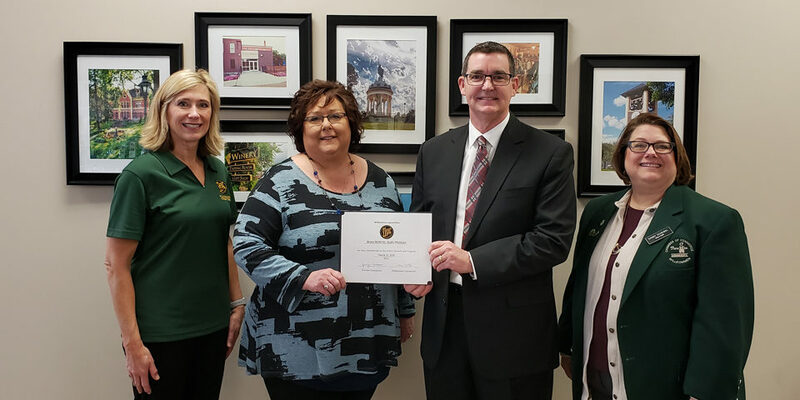 In the photo below are: Andrea Boettger, Design Home Center; Maurissa Montemayor (Assistant Manager), Matt Dauer (Manager), and Edward Lopez (Assistant Manager), Shoe Sensation; Donna Lambrecht, United Way of Brown County.